3S or 3S1P or 11.1V ? Buy the highest C rating? Beginners may want to stick to recommendations provided by the model supplier. It is prudent to match the LiPo to the needs of your model and style of flying. For example if you spend most of your time with the throttle around 50% and flying level then a comparatively lower rated battery may do compared to flying at full throttle and doing aerobatics. The information below will help you pick a LiPo in the absence of information from the model supplier. For many of us buying the so called “best” LiPo may not always be an option when it may also be the one that costs the most upfront. The cost usually depends on a combination of number of cells, capacity, discharge performance, added physical protection and consumer demand. Consumer demand often depends on real or perceived “quality” of the LiPo and brand recognition. 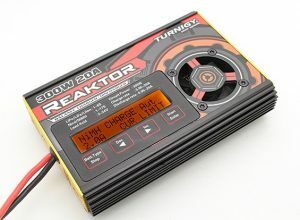 The capacity determines the run time of the model with the selected LiPo. 850 mAh is the capacity of the LiPo. milliAmpere (mA) – Think of an ampere as litres of water flowing per second. A milliAmpere would be millilitres of water flowing per second. milliAmpere hour (mAh) – Think of a milliAmpere hour has the number of litres; The volume of the tank on a water tower. Usually the model is designed to have its centre of gravity at a particular location taking the weight of the battery into account. As the capacity increases the weight increases. As the weight increases the model’s centre of gravity could get shifted if the battery is not placed at the centre of gravity. In the water analogy increasing the size of the tank on the water tower after it is built could cause the tower to have structural problems. Increased weight also effects the handling of the model. A heaver model has more trouble turning and stopping than a lighter model. The number of cells (S) determines the Voltage of the LiPo. Each cell has a nominal voltage of 3.7 Volts. A 3S LiPo has a nominal voltage of 11.1 Volts. The maximum/charged cell voltage is 4.2 Volts. A 3S Lipo has a maximum/charged voltage of 12.6 Volts. 3S, 3S1P, 11.1V in this context are equivalent. 3S or 3S1P means 3 cells in series. 3S2P means two sets or 3 cells in series with each set in parallel. This keeps the voltage the same but increases the current capabilities. Each cell has an associated voltage, capacity, and maximum discharge current capability. Cell (S) – Think of a cell as a water tower. It has a height and a tank with a limited volume. Voltage (V) – Think of voltage as water pressure from the water tower. Taller towers have more pressure. The model’s ESC (electronic speed controller) is rated to operate within a certain voltage range or cell range. As the number of cells increases the voltage increases. Exceed this range and the ESC will not work or could be damaged. In the water analogy if the water pressure exceeds the pressure rating of the pipes and taps they may leak or explode. The C rating serves as a guide on the voltage to expect as more current is drawn. This in turn has an effect on the power delivered to the model. The C rating is also related to how much the LiPo heats up as more current is drawn. Higher C ratings results in more power delivered to the model and cooler LiPo batteries. Think of current as the amount of water flowing when you open the tap. Initially more water flows as the tap is opened more but eventually the amount of water flowing stays the same as you keep opening the tap. To increase the amount of water flowing a second pipe or a larger pipe would need to be used. Continuing with the water analogy starting with a closed tap the pressure in the water pipe decreases has the tap is opened. If a larger pipe is used the pressure drop is less but eventually it does drop depending on the amount of water flowing from the tap and number of taps open. 75C for a 850 mAh LiPo is 75 x 0.85 = 63.75 amps. Models usually come supplied with electrical specifications. These electrical specifications are usually stated on the ESC in number of cells and maximum current. For example 2-4S 30 amps. If your budget allows then yes buy a LiPo with the highest C rating but check the difference in weight. Usually higher C rated batteries are heavier but the increased weight may be acceptable when compared to the power performance gain. Charging LiPo batteries requires the use of a balance charger designed for LiPo batteries. Do not use any other kind or charger. There are many chargers to chose from. Read the reviews before making your selection. When buying a charger more money does not mean a “better” charger. Chargers come with and without internal power supplies. Having an internal power supply reduces the connections to be made and reduces set up time. However often internal power supplies are not as powerful as an external one. In my experience from speaking to other RC hobbyists there is no “best” or “correct” choice when it comes to selecting a charger with or without an internal power supply. The main feature that have me recommending these chargers are that when powered on the charger returns to LiPo Balance charging mode. Many chargers do not do this and a number of hobbyists charge their batteries in non-balance mode because they either forget or haven’t yet understood the importance of balancing while charging. Always charge in balance mode. In practice LiPo cells are not identical so one cell will discharge or charge faster than another cell. When balance charging the voltage of each cell is monitored. If one cell has a higher voltage then the charger’s circuit starts to equalize the cell voltages. The actual method of equalizing cell voltages are many and one approach is explained here. 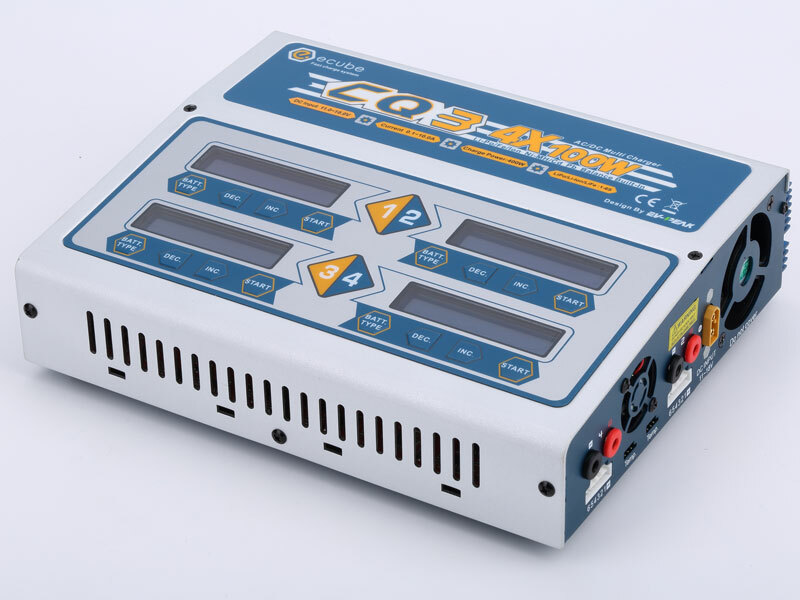 LiPo cells are rated to be fully charged when they are at 4.20V however they can be charged to a higher voltage. Charging a LiPo above 4.20V could lead to it being damaged and or catching fire. When two or more LiPo cells are being charged in series they do not charge at the same rate. While charging without balancing one cell may be at 4.00V while another may be at 4.20V. In this example we have one partially and one fully charged cell. If charging is stopped then one cell is significantly below its fully charged capacity. If charging continues one cell may get damaged or even catch fire. Consider the water tower tank analogy. If two water tower tanks are being filled by one pipe with one valve it is likely that one tank fills quicker than the other. When one tank is full the tap is either closed or left open. If filling is stopped then we have one tank not filled to capacity. If we continue filling then one tank may overflow or the excess weight of the water may cause the tower to get damaged and even collapse. A third option is monitor the level of water in each tank and constantly balance the levels. Balancing could be done in a number of ways. A tap could be added so each tank’s fill rate can be adjusted. Another option is to pump water from one tank to another. These are just two of many approaches available to ensure both water tower tanks are filled to capacity without over filling any of them. When charging using a LiPo balance charger it is essential that the correct voltage is used. LiPo chargers may auto detect the number of cells being charged or it may have to be set. LiPo chargers usually have protection to prevent the use of an incorrect voltage settings but don’t depend on its existence or reliability. The settings are 1S (3.70V), 2S (7.40V), 3S (11.1V), 4S (14.8V), 5S (18.5V) and 6S (22.2V). Details on how the charge voltage is varied during charging can be found here. When charging using a LiPo balance charger the maximum charging current must be set equal to or below the supplier’s recommendations. Using a current that exceeds the maximum charge current recommendation will lead to battery damage and it may even catch fire. LiPo chargers do not have protection to prevent the use of charge currents that exceed the LiPo supplier’s recommendations. The charging current is set in Amperes but the supplier’s recommendations are usually provided in C so some C math will be required. 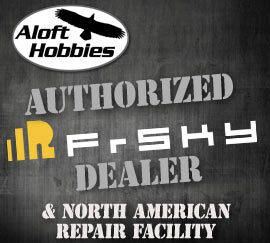 In general a charge rate of 1C can be used with any LiPo battery supplied by a hobby store. 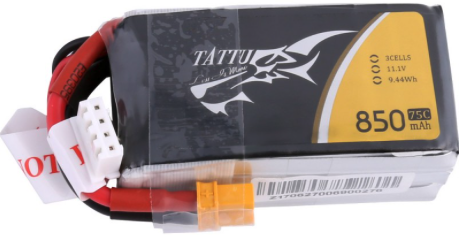 Some LiPo batteries may be charged at rates up to 5C. Details on how the charge current is varied during charging can be found here. There are a number of safety precautions to take when dealing with LiPo batteries. Use a LiPo safe bag or metal container for charging, storage and transportation. Keep batteries cool and out of the sun. Do not leave batteries in a car with the windows rolled up in the sun. Check the documentation for maximum charge rate; 1C is usually safe. The maximum charge rate is often documented under the description, features or specification section on websites. Use the balance charge mode on the charger. Charge batteries after they have cooled down. Use a charging surface that is not flammable. Keep a fire extinguisher or sand easily and quickly accessible. Consider having a smoke detector above the charging location. Isolate a battery involved in a crash away from other batteries and flammable materials for an hour and watch for signs of smoke, flames and heat. Go through a charge and discharge cycle using the corresponding charger modes; Watch for signs of smoke, flames and heat. Discharge batteries to a storage voltage, using the storage mode on the charger, when not using them. Dispose of LiPo batteries by calling your local hazardous waste disposal facility and asking them what steps to take before bringing in the batteries to them. Picking a LiPo here is straightforward. Buy what is recommended or if you want to buy a “better” or cheaper battery do some math. For a 2200 mAh LiPo 1 C = 2.2 Amperes. 25C = 55 Amperes. Since the speed controller has a 30A limit buying a higher C rated LiPo won’t provide much noticeable improvement. For a 2200 mAh LiPo 1 C = 2.2 Amperes. 30/2.2 = 14. So at minimum pick a 15C LiPo but you may notice increased LiPo temperature and reduced power to the model at higher throttle. Buy a 3S 2200 mAh LiPo with a rating of at least 25C. Picking the number of cells here is straightforward based on the stated 3S battery requirement. Do not pick a 4S battery because the motor specification is 2-3S. Which C rating? 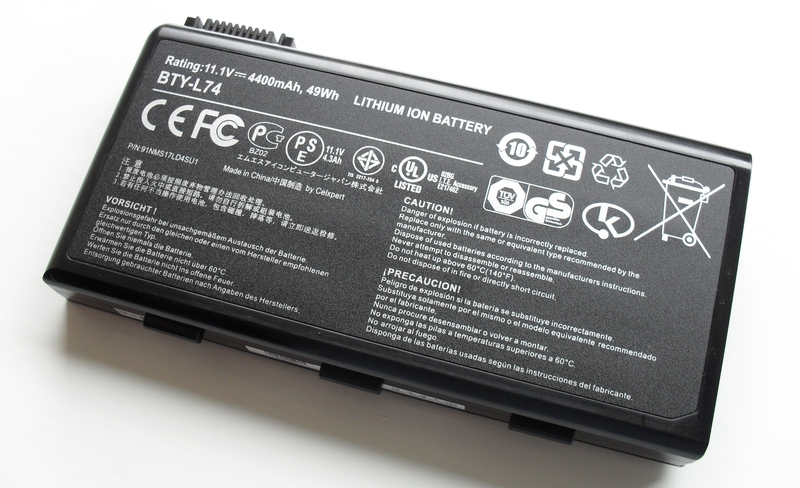 This depends on the battery capacity picked and the model’s current requirements. Each Electronic Speed Controller (ESC) is rated at 12 Amperes. There are 4 ESCs. For a 1300 mAh LiPo 1 C = 1.3 Amperes. 48/1.3 = 37. So at minimum pick a 40C Lipo (x 1.5 60C LiPo). For a 2200 mAh LiPo 1 C = 2.2 Amperes. 48/2.2 = 22. So at minimum pick a 25C Lipo (x 1.5 40C LiPo). Buy a 3S 1300 mAh LiPo with a 40C rating or better. 60C for aerobatic/race flying. Buy a 3S 2200 mAh LiPo with a 25C rating or better. Remember that a 2200 mAh is much heavier and you may find turning and stopping more effort.